The main reason to get veneers is to correct cosmetic issues such as minor cracks, chips, stains, gaps, or misshapen teeth. 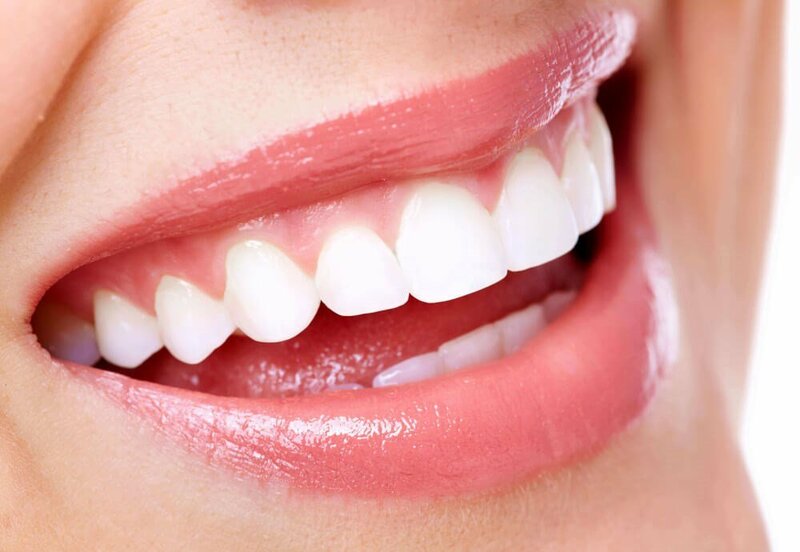 A single treatment, like tooth whitening or cosmetic bonding, may be enough if you have one issue, but cosmetic veneers can correct multiple issues at once with even results. Veneers can also be a good option if you have deep or dark stains that cannot be improved, even with professional teeth whitening. You may have considered another cosmetic treatment like bonding and contouring. Dental bonding can be used to address many of the same issues as veneers, but the material used in bonding is less resistant to stains, chips easier, and the results typically don’t last as long. Twenty years ago, veneers made teeth look like Chiclets and gave people unrealistically perfect smiles, which made them easy to spot. Modern veneers are carefully customized to look natural so your friends and family will notice you look better, but they won’t know exactly what you did. While cosmetic veneers can be used to dramatically improve the appearance of your smile, you may want to keep some of your personality. For example, if you like the gap in your front teeth, but want it to be a little smaller, your veneers can be designed to do this. Microdontia is an often hereditary condition where the teeth are abnormally small and typically have large gaps. If you have microdontia, your smile may look like it’s still full of baby teeth. Even if small teeth and gaps aren’t affecting your oral health, it may be making you look less “adult” than you’d like. Cosmetic veneers are often a great fix for patients with microdontia. Porcelain veneers can give you a full-size, beautiful smile that matches your other facial features. DentalWorks in High Point, NC has helped many patients with microdontia gain confidence in their appearance with custom porcelain veneers. Before you get veneers, you should already have good oral hygiene. Any cavities, decay, gum disease, and plaque buildup must be addressed prior to receiving veneers. Since the veneers are bond directly to the teeth, optimal oral health is key for their application and long-term success. Covering up any tooth decay or gum disease with a veneer could actually make your condition worse, which is why DentalWorks in High Point, NC will check for and treat any underlying conditions before placing veneers. Clenching your jaw and grinding your teeth, medically known as bruxism, can severely damage your teeth. It can lead to chips, tooth fractures, as well as the misalignment of your teeth and jaw. This is not only a problem for your natural teeth, but it can also be hard on the porcelain veneers you just invested in. If you have signs of grinding and clenching, your dentist may recommend a night guard to protect both your natural teeth and your new veneers. Your night guard may even improve your sleep so you feel more rested in the morning! Veneers from DentalWorks in High Point, NC are made with high-quality porcelain that is strong, but you still need to take good care of them. This means no chewing on ice or biting your fingernails. In addition, you should not use your teeth as tools to open packages or for cutting tape as this can loosen your veneers. Porcelain veneers are more resistant to staining, you still need to practice good oral hygiene. You should brush and floss, with proper technique, to keep your veneers bright and the rest of your mouth healthy. You should also continue to schedule regular dental checkups and cleanings. During your visit, we can also show you some brushing techniques and provide oral care instructions for you to follow at home. If you experience any issues with your veneers, you should schedule an appointment to get them checked by a dental professional. During your initial consultation at DentalWorks, we will discuss all your cosmetic dentistry treatment options, including porcelain veneers. Depending on your needs and goals, you may be a better candidate for bonding and contouring, professional teeth whitening, or even a restorative procedure. We want to make sure you understand all of your options and you are making the best choice for both your appearance and oral health. You should come to your consultation with questions and an open mind. We offer a wide range of advanced dental procedures that can be combined to create your custom treatment plan. When you’ve considered all these points and you want more information, schedule a consultation at DentalWorks in High Point, NC. We’ll listen to your concerns about your smile and your aesthetic goals before helping you decide if porcelain veneers or another cosmetic treatment is your best option. If you decide to get porcelain veneers, we’ll create a treatment plan to design and place your high-quality custom veneers. Unlike older veneers that required a significant amount of enamel to be removed, modern veneers need minimal or no preparation to be placed. This means it’s easier than ever to get them on!